A sit-in near the Polish prime minister's office by doctors and nurses calling for higher wages and more public health spending entered its third week. The protest, accompanied by strikes at hospitals across Poland, grew out of a June 19 march in the capital by doctors and nurses. Hospital employees are now camped in more than 100 tents across the road from Prime Minister Jaroslaw Kaczynski 's office. They sit under banners reading "Let us live in dignity," with Warsaw residents bringing them food. Representatives of the protesters met Monday with Health Minister Zbigniew Religa their third meeting with officials over recent days but came away dissatisfied, saying Religa had said no wage increases were possible this year. Back at the protest, the strikers banged drums, rattled plastic bottles filled with coins and blew whistles. "We want to alert the government's conscience" to the plight of the debt-ridden public health sector, said Halina Peplinska, 51, a nurse from the northern city of Bydgoszcz. She said no Polish government since the 1989 fall of communism had tried seriously to resolve problems in the health sector, in which patients often must wait months for treatment. In addition, low wages have spurred thousands of doctors and nurses to move abroad for better-paid jobs, primarily to Britain and Ireland, since Poland joined the European Union in 2004. Nurses currently make an average 1,400 zlotys (US$500; EUR370) a month and are demanding an increase of some 1,000 zlotys (US$360; EUR260). 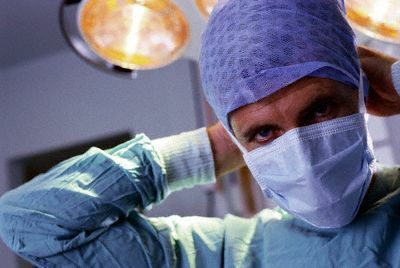 Doctors, whose monthly earnings range up to 3,000 zlotys (US$1,000; EUR800), want to see that increased to 7,500 zlotys (US$2,700; EUR2,000). Kaczynski has said health care workers deserved a raise, but were making unrealistic demands that would hurt public finances.